There are not a lot of books on drawing drapery. 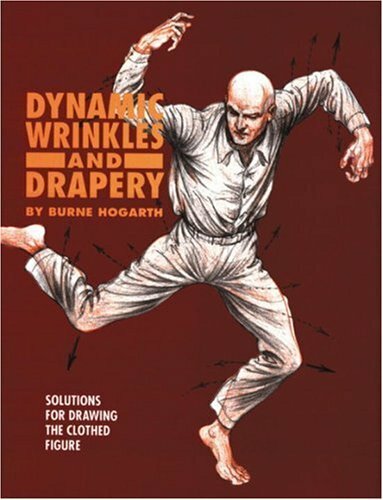 Thankfully, Dynamic Wrinkles and Drapery from Burne Hogarth is a pretty good one. 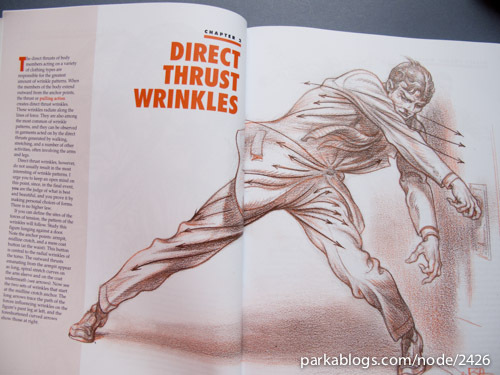 It thoroughly covers the subject on drapery and wrinkles with extensive explanation on why and how drapery works, and ways to approach drawing them. 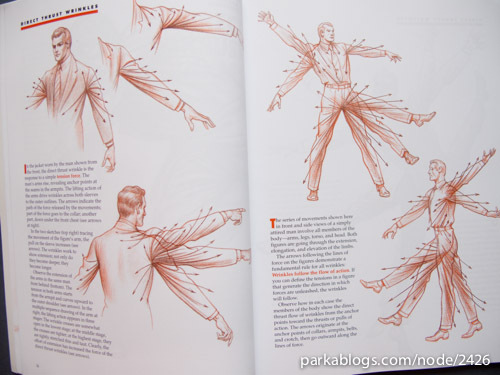 All sorts of wrinkles are covered, including topics on drawing floating superhero-type capes to the type of materials. There are loads of illustrated examples. 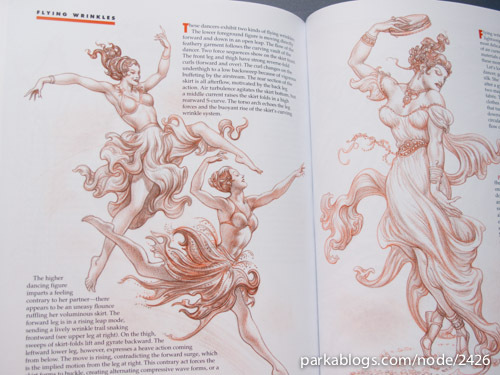 With the dynamic drawing style of Burne Hogarth, these characters look like they come from a costumed musical. People are dancing and dramatic, so are the clothing. Some of the anatomy look unbelievable, literally speaking, such as the one on the cover. Not that it matters anyway since clothing can be on all sorts of characters including non-human. 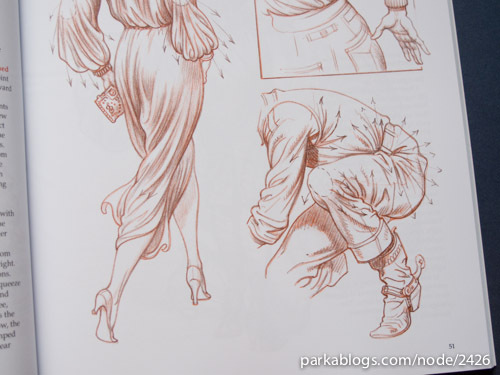 This is a very useful resource to drawing drapery. 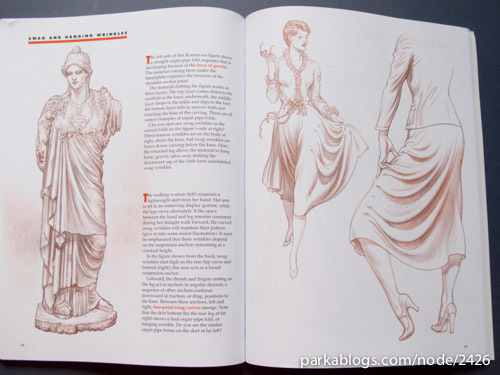 If you need a quick guide, you might want to check out Drawing Drapery from Head to Toe.